SuperMeat is developing a machine targeted at restaurants and supermarkets to make its lab-grown chicken meat production deployable in the real world, to the whole world. The year was 2013. 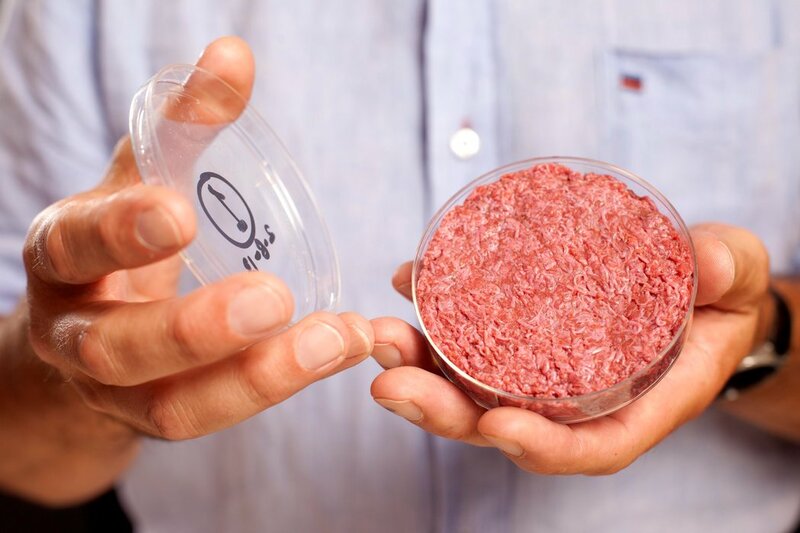 The first ever servings of lab-grown meat were packed into a burger and eaten at a press conference in London. Apparently it didn’t taste all that great. It also cost $330,000. Three years later, we’re a lot closer to a more affordable form of synthetic meat. That’s thanks in part to the efforts of an Israeli startup called SuperMeat and their Indiegogo patrons, who have so far raised more than $160,000 towards a slaughter-free future for chicken meat. The campaign still has more than three weeks to go. SuperMeat set out to find a way to end the suffering animals undergo at the hands of the meat industry while remaining realistic about our meat consumption habits and the benefits we derive from them. With help from award-winning biomedical engineer, Yaakov Nahmias, the team managed to develop a method for producing real cultured chicken meat—meat that is biologically indistinguishable from the kind obtained from slaughtering real chicken, but grown in a lab. The unique method the startup uses starts with cells harvested from a single biopsy—a procedure that causes no significant stress to the animal. 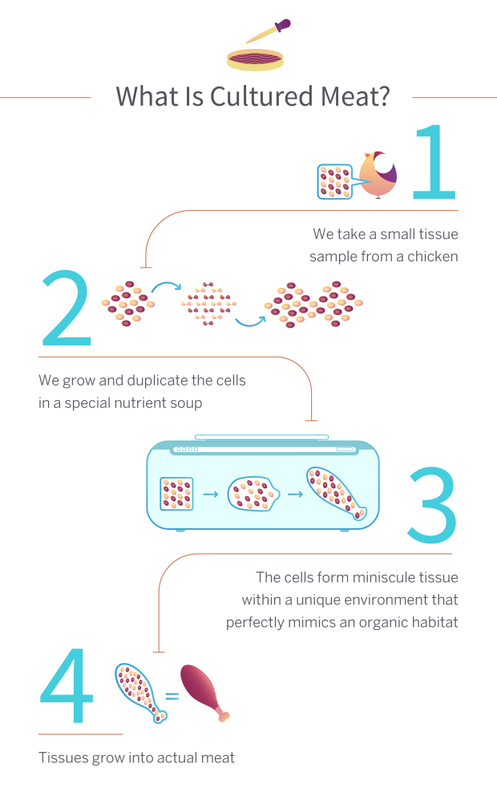 These cells are incubated in a setting that recreates conditions within the chicken’s body. Tissue engineering processes are used to supply the cells with nutrients and encourage their proliferation. The cells grow and multiply, culminating in a slab of lab-grown chicken meat that could fool Colonel Sanders. On Indiegogo, SuperMeat is raising money to fund the development of a machine that would carry out the aforementioned meat synthesis process in a scalable manner. The startup is initially targeting businesses like supermarkets and restaurants, but is hoping to eventually produce the machines at scale so they can be made available to individuals. The current focus is on three kinds of chicken products: minced meat, liver, and chicken breast. The cultured meat movement has significant environmental and economic consequences. The FAO reported a decade ago that livestock—which 1.3 billion people still use as a source of livelihood—was a major environmental hazard. At the time, it accounted for 18 percent more greenhouse gas emissions than transportation. The UN’s report also implicates the industry as a cause of water and land degradation. Lab-grown meat offers an alternative to the deleterious practices prevalent in industrialized livestock agriculture. One thing it desperately needs is the support and resources to make large-scale use cheaper and simpler. That’s where SuperMeat’s campaign comes in. Indiegogo featured them as a “Product for Good,” and the +$160,000 they’ve raised is well past their goal of $100,000. If they reach the $500,000 mark, they’ll have the resources to make a proof-of-concept of the meat-synthesizing machine a reality. Backers can chip in with as little as $20 or as much as $50,000, where you buy the right to be a guest at the first dinner served with SuperMeat. Hopefully it tastes better than the 2013 version. And even if it doesn’t, nobody said we have to cut back on Teriyaki sauce.